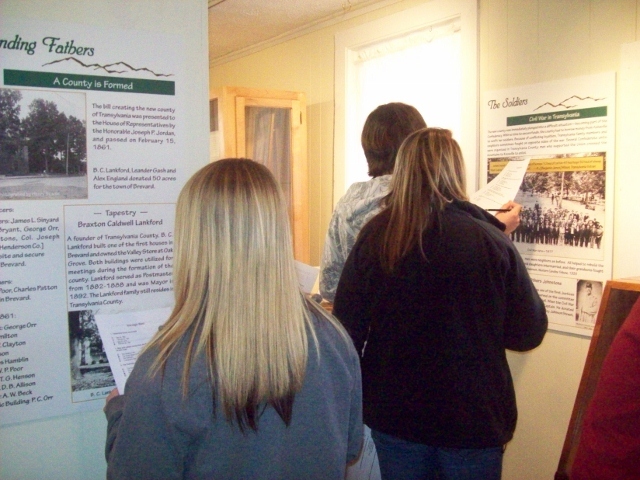 The Transylvania Heritage Museum provides a venue to showcase the history and heritage of Transylvania County. Exhibits change twice a year, and end each year with a special, for fun, Holiday Display. Special educational presentations are scheduled to suppliment the exhibit during its rotation. This can be a variety of things. 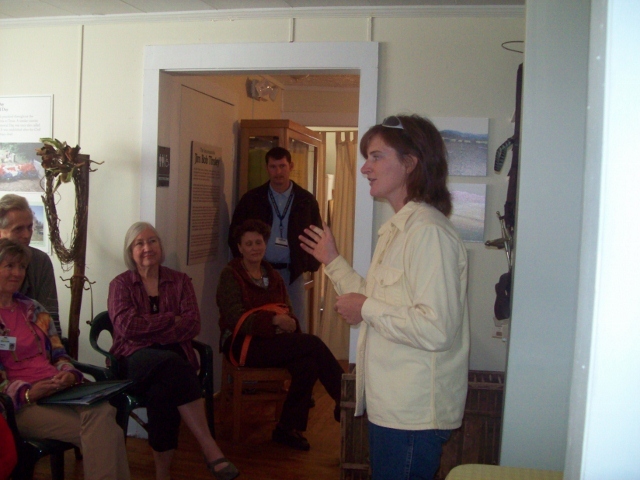 The Museum is always seeking individuals who have a specific talent or passion who can participate in a Speakers Bureau. 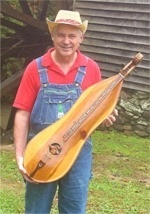 The topics relating to Transylvania County History and Heritage are very diverse. The Museum also arranges for visits from the Transylvania County Schools. These are scheduled on Monday or Tuesday if possible, to allow the entire space to be converted into a learning enviroment. This can be arranged for any grade level.